In this eBook, you will learn about solutions to improve guest experience and increase operational efficiency. We live in an on-demand world, where customers want access to information and conveniences immediately. While there are plenty of examples of technology that can provide instant gratification, few are more prevalent than those we see in the hospitality industry. Hospitality must accommodate business and personal travelers alike, ensuring outstanding experiences and meeting the varying needs of the executive who demands high-speed internet with the vacationer who wants convenience. Learn how NEC's Smart Hospitality Solutions help the industry control costs, improve staff efficiency and create an environment that makes guests want to return. 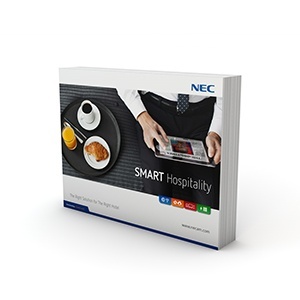 Download this eBook today to learn more about NEC and its Smart Hospitality Solutions.